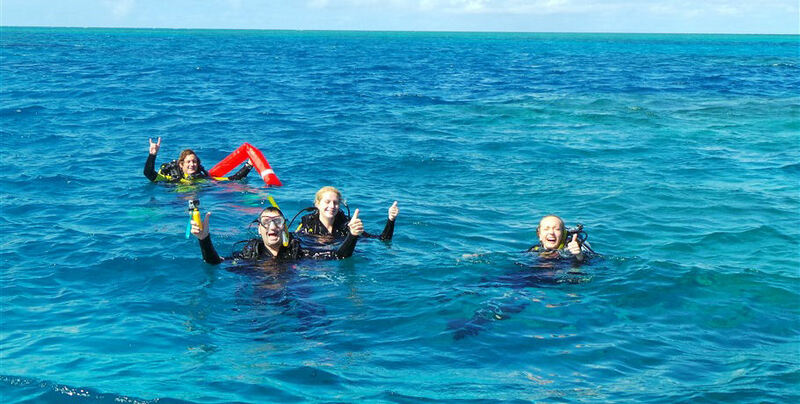 Experience a full day plunging into the cool waters of the Coral Sea to immerse yourself in the abundance of marine life in this beautiful part of the world. 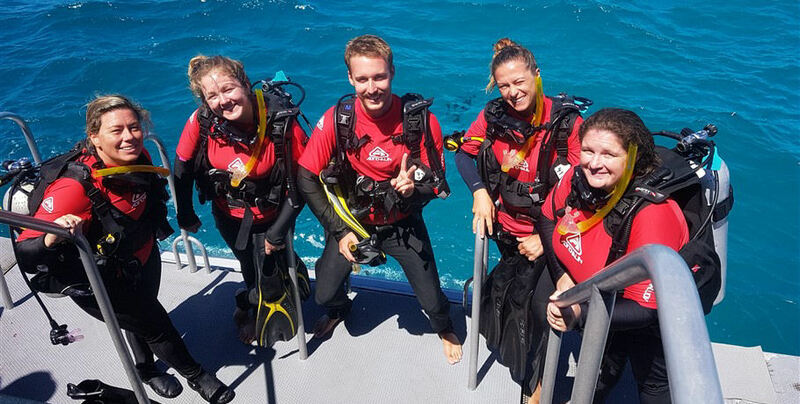 Your experienced and knowledgeable crew will take you to selected moorings around Bait Reef- the closest of the outer reef locations. 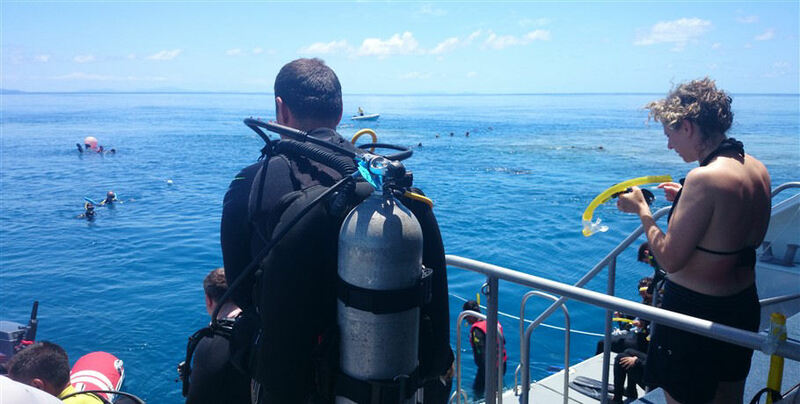 This is to ensure you have the most time possible to spend underwater rather than travelling to the location, although you will be doing this in style! 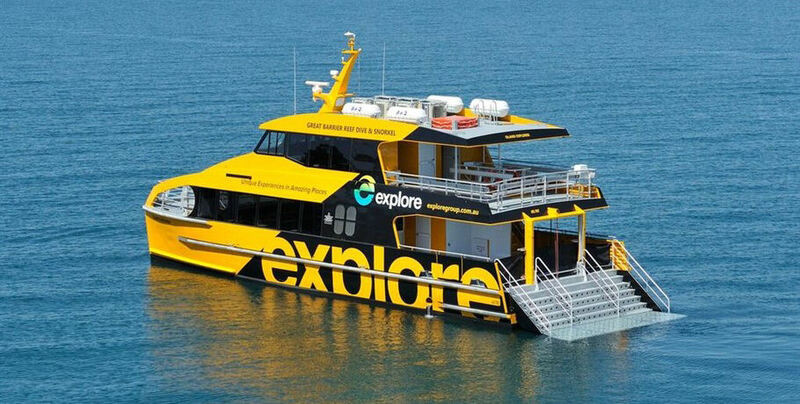 Island Explorer is a custom designed dive/snorkel vessel with two levels of air-conditioned lounge style seating, a partially shaded deck, and fresh water shower. She also boasts a full beam swim platform to make entering and exiting the water in your provided dive equipment a comfortable experience. Your full day tour will depart at 9:00am and return at 5:00pm to the Abell Point Marina. 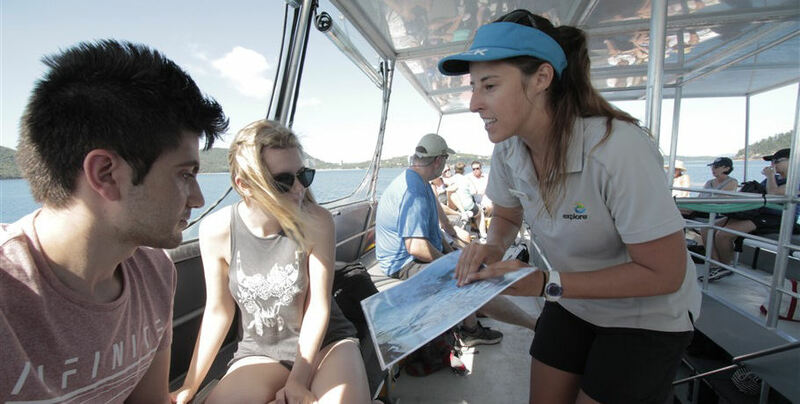 Your tour will visit two locations within the Bait Reef area. 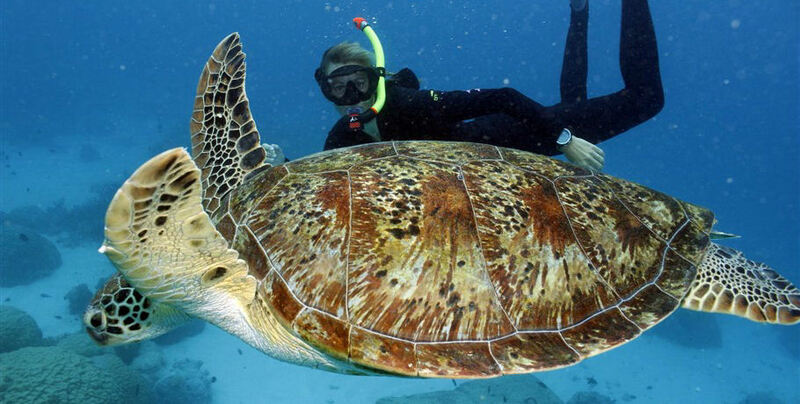 Spend a minimum of 3.5 hours at each location such as great snorkelling and dive sites Stepping Stones, Paradise Lagoon and Mantaray drop-off. Please note at times the weather can be unpredictable. You will be provided an up to date weather report including wind and visibility before your departure along with your itinerary for the day. This cruise is not suitable for those that cannot swim. 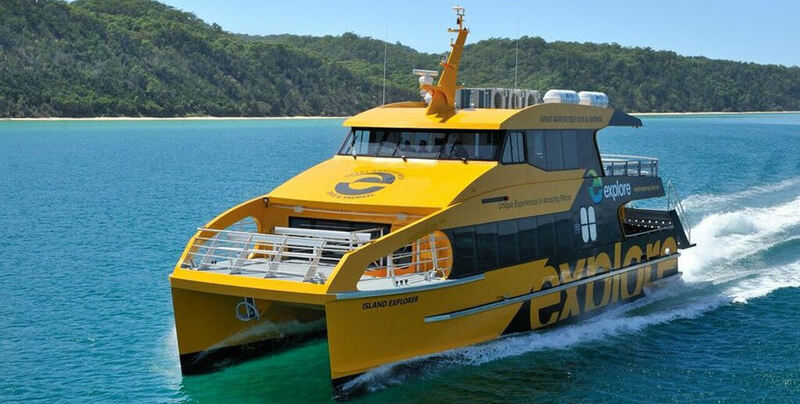 A full day cruise visiting up to three locations within the shelter of the Whitsunday Islands, which may include a stopover at Whitehaven Beach. 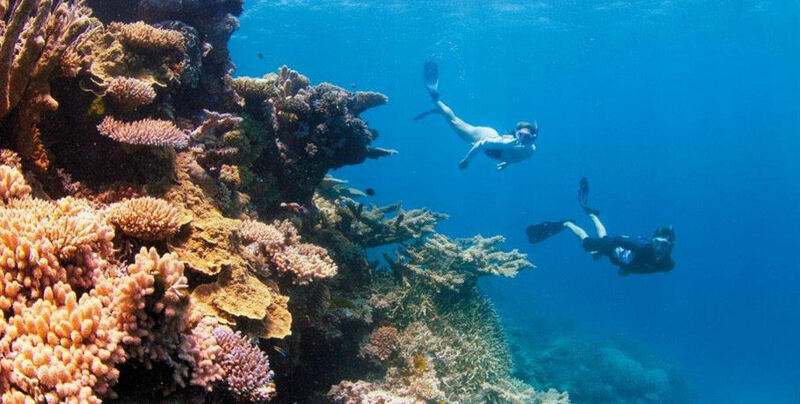 Up to two snorkel and dive locations situated in the northern section of the islands, with beautiful fringing reef and abundant fish life for diving and snorkeling. 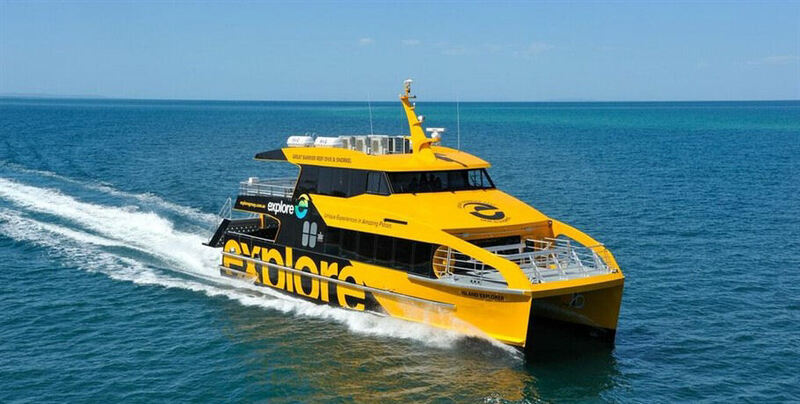 Explore Group will notify you of this change at time of booking as best as they can and the skipper will reconfirm the plan at time of boarding. If canceled more than 48 hours prior to the cruise timing there is no fee. If canceled between 48 hours and 24 hours prior there is a 50% fee. If canceled within 24 hours of your cruise or if you do not show there is a 100% fee. In the event we cancel due to weather conditions you will be offered a full refund or an alternate day.